The 49ers have reportedly added much-needed offensive line depth. 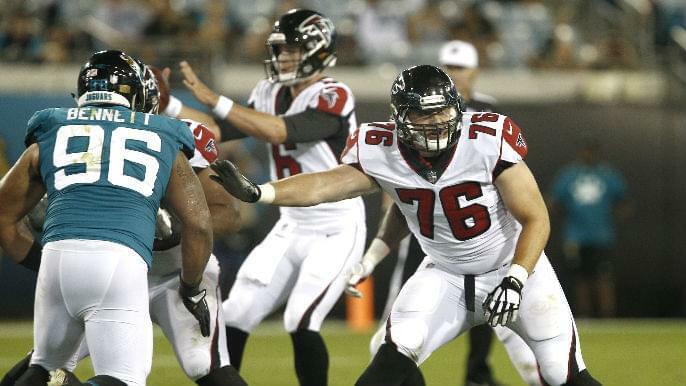 According to Yahoo Sports NFL reporter Eric Edholm, the 49ers have signed former Falcons offensive tackle Daniel Brunskill. Brunskill, 25, joined the Falcons after he went undrafted in the 2017 NFL Draft. He was cut before the season, but he re-signed shortly after and remained on the team’s practice squad for the next two years. He most recently played for the AAF’s San Diego Fleet. The 49ers don’t have much offensive line depth with NFL experience. The five starters from 2018 will likely hold those titles in 2019. The only position up for grabs is at right guard, where incumbent starter Mike Person, who signed a three-year extension this offseason, will battle 2016 first-round pick Joshua Garnett. In January, the 49ers released veteran offensive tackle Garry Gilliam. The team’s only backup offensive tackle on the current roster is Christian DiLauro, a second-year player with no NFL experience.